The HM11 is a wireless, real-time vibration and temperature sensor that deploys in minutes. Sensors mount directly onto machines and continuously stream data on the health of critical equipment, thereby reducing unplanned downtime and lowering maintenance costs. 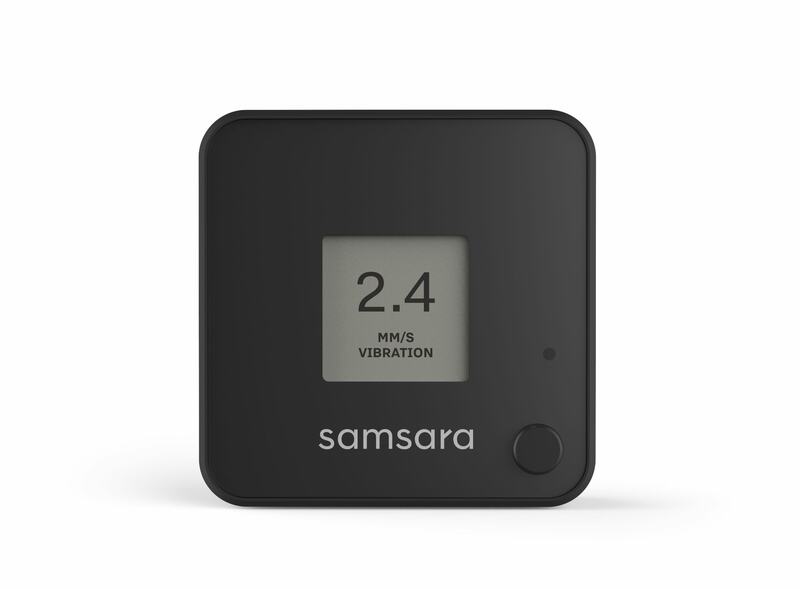 Samsara enables continuous tracking of key health parameters for critical equipment including motors, compressors, pumps, fans, etc., allowing you to replace manual walkarounds, catch issues early and improve machine performance. With real-time email and/or text alerts, and advanced analysis tools like Fast Fourier Transform (FFT), Samsara helps you diagnose machine faults quickly so you can take timely corrective action and avoid expensive unplanned downtime. HM-series monitors are designed for harsh operating environments. IP67-rating protects against splashes, spray, power washing, dust, and other environmental wear and tear. In addition, the HM11 has a durable design with exceptional resilience to impact. 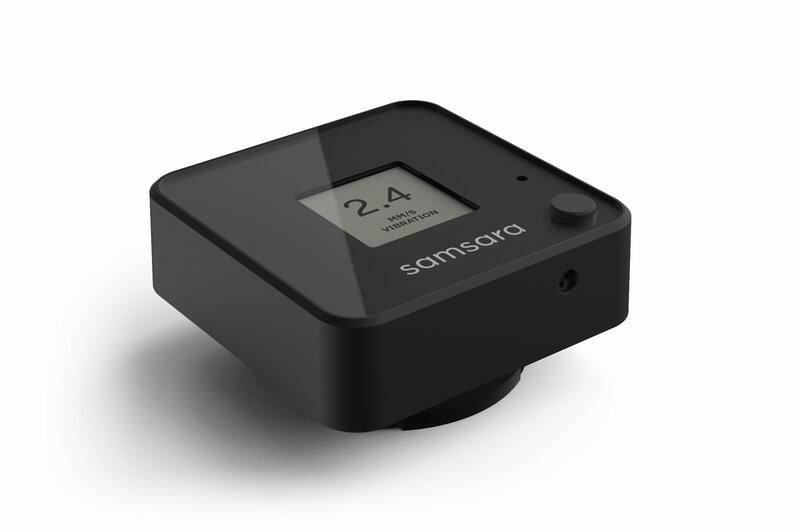 With the industry's most advanced wireless technology, HMs transmit sensor data in real time to Samsara gateways, enabling operators to see up-to-the-second sensor data over the web and to receive instant alerts. Even with always-on wireless networking and data-logging, the HM11 runs for more than three years off of a single AA battery. HM-series monitors are wireless sensors that mount directly onto machines via magnets or epoxy, without needing to run any conduit or wiring. In addition, they require zero-configuration and connect wirelessly via Industrial Gateways, removing the need for any servers or IT setup. IP67 rated waterproof and dustproof per IEC standard 60529. Designed for splash, spray, and dust. Requires HM license. License includes cellular data connectivity, cloud software, mobile apps, ongoing firmware updates, maintenance, and support. Available in 1, 3, and 5-year terms.